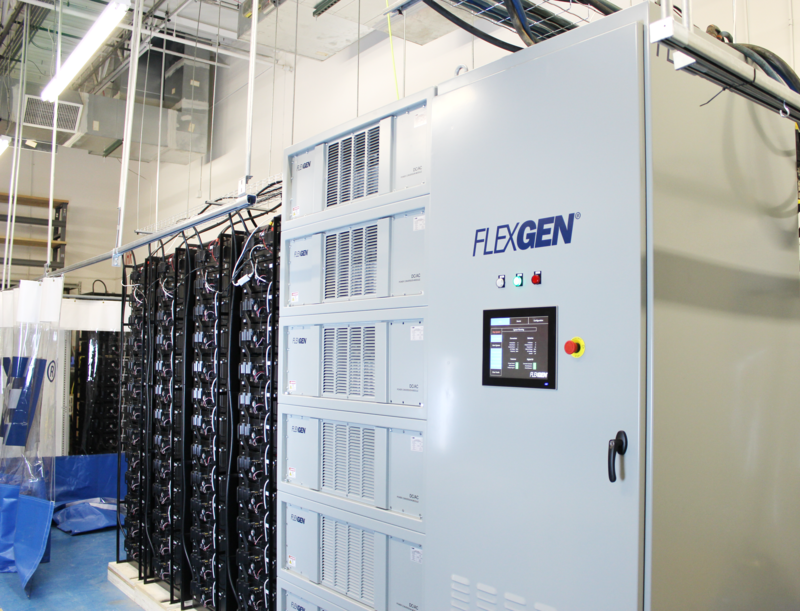 FlexGen leads the energy storage industry worldwide with its breakthrough hybrid energy storage software and power conversion products for oil and gas, marine, and industrial power systems. 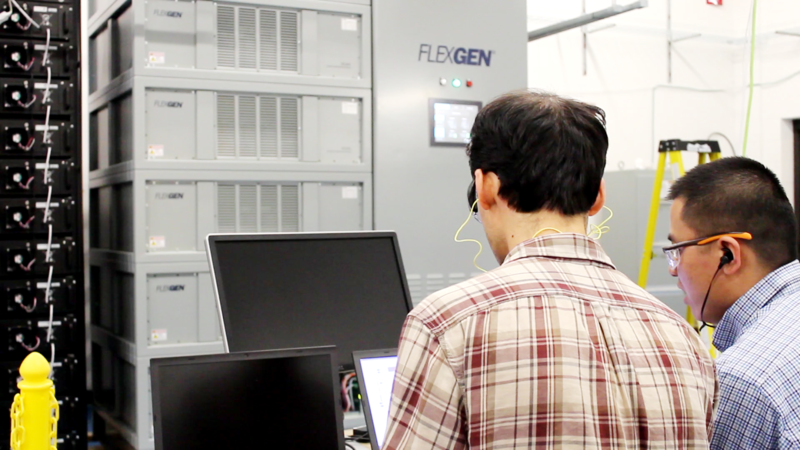 Tony Olivo, Director of Engineering, and Preston Miller, firmware engineer at FlexGen, discuss how they used Typhoon HIL's integrated platform to test and verify the highest quality control system. Typhoon HIL: Okay, so let's go ahead and talk about the challenges for inverter manufacturers when developing and testing their inverters. Tony, why don't we start with you? Tony: In a traditional product development environment, the firmware team comes last to do control work. They are then squeezed between the front–end development and hardware and have rare opportunities to test on a full-scale power system. When you're dealing with power systems over a megawatt-scale, being able to secure a testbed is difficult to find. Typhoon HIL: And Preston, you do more of the firmware design and control testing. I want to get your perspective on how you tested your inverter controller firmware before Hardware-in-the Loop testbeds. Preston: Before Hardware-in-the-Loop, we would always have control design software and simulation software work with component parameters or ideal components. You can't really plug in your controller directly. So we simulate our own controller and hardware set-up, then interface those. And all of that will be on some kind of simulation test bench. Typhoon HIL: What's the disadvantage of simulating your controller instead of using the real controller? Have you come across problems doing that? Preston: Yeah, definitely. Sometimes, you can easily overlook things in trying to translate between a simulation and your actual controller implementation. Typhoon HIL: What are some of these things that you can overlook? Preston: I think we've gotten lucky, but I know we've had close calls with things like pulse-width modulation, dead time, and having both top and bottom switches of a power stack on at the same time. It can blow up the whole thing basically. And that's something we've managed to catch, but I think it could easily have not been as lucky. Typhoon HIL: And how much does that cost generally, for say, one test using full power equipment? Tony: The total cost of testing one megawatt system at full power with a load bank would cost about $35.000 USD a month. Typhoon HIL: And how long is your test cycle? Tony: A typical test cycle for design verification and product validation would be about three months if we were coming right from a simulation model to an implementation in real hardware. Typhoon HIL: Wow. That's incredible. That's a lot of money. So how are you able to shorten that development cycle? Tony: Using Hardware-in-the-Loop, we can do functional verification of software features without having to have a full power test lab. Then only at the end, for maybe the last month of a testing cycle, do we have a full power test set-up where you're really ensuring the last pieces of quality in both the manufacturing and the functional verification. Typhoon HIL: I see. Preston, this is more for you. I want to get more details about what Tony mentioned about functional verification in the early stages of design and towards the end. What major components were you modeling? 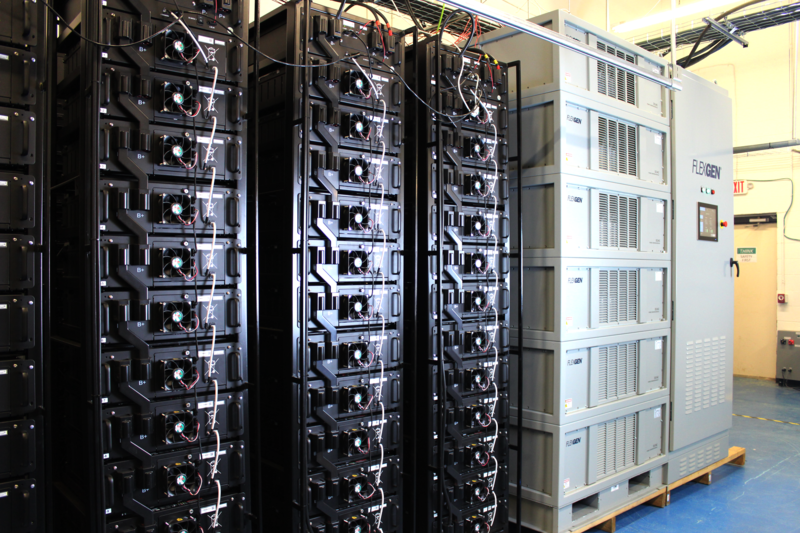 Preston: We have modelled our whole power system which includes parallel IGBTs and ultra-capacitors or battery storage, inductors, and a generator. Typhoon HIL: What kind of test cases were you able to simulate in HIL that was difficult to simulate in the power lab environment? Preston: We had a customer asking for a capacitive load test and we've never rented that kind of load bank in our lab, but we were able to just drop one into the Hardware-in-the-Loop and test it out there. Typhoon HIL: What catastrophic conditions or operational scenarios were you able to simulate that you weren't able to in the power lab? Preston: There are a mix of grid disturbances that our products deal with that are very difficult to recreate in the lab. On the grid, some of the sources of voltage disturbances like a brownout could be one phase being shorted to the ground or two-phase conductors hitting each other on the power line. Or all three phases being connected to ground. It's difficult to recreate that in the lab. And you can't always wait for it to happen on the real grid. 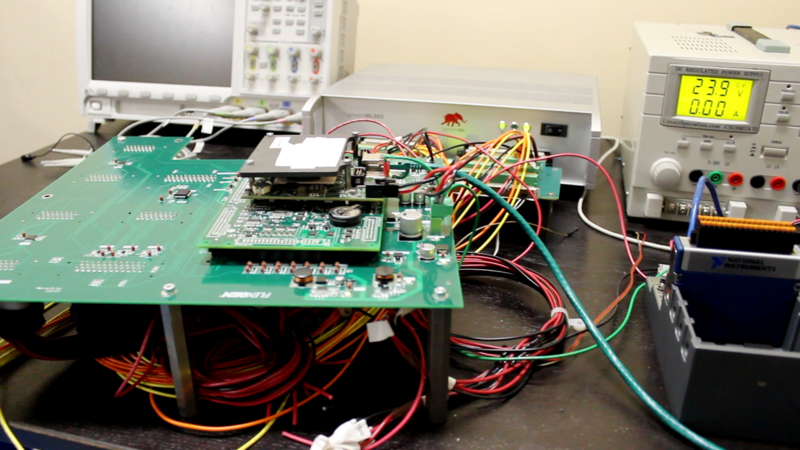 "So in Typhoon, we're able to create repeatable test benches for each of the grid faults." We can vary physically how many miles down the line does that fault happen away from a particular site. And we can modify the durations and the severity in a way that would be just cost prohibitive in a real system. Typhoon HIL: I know you guys also run your own simulation platform. What can you do in HIL that's difficult to do in other simulation platforms? Preston: Basically, we can see much more of our controller and its inputs and outputs. Also what's really happening while sensing how sensitive our comptroller is to variations and lock sensing. And then additionally, we've used scripting of the test program to get repeatable results and then constantly analyze them and report how our actual controller performs plugged in. Tony: Getting accurate simulations in a software-only simulation of a control system and the power electronics, requires very small time steps which then take a very long time to run for even a few line cycles of data. Typhoon HIL: I'm not too familiar about FlexGen's quality assurance process. How did you use Typhoon HIL to validate and verify your firmware updates? Preston: We mainly use HIL to validate stability and just verify that everything is working as expected. We are looking into doing the UL 1741 SA certification with Typhoon for some new customers we have. But we are using it more for just development and just to gain a lot of confidence that it'll be safe when we plug it in to the whole hardware. Tony: Across FlexGen's product lines we probably have six major software releases that go out into the field per year. Every firmware upgrade does not only test the feature or features that are being added for a particular release, but also regression testing everything we've developed until that point. So that we're not introducing issues by adding new features. And that's all done by verification in HIL. Typhoon HIL: What do you think is the greatest benefit when using Typhoon’s Hardware-in-the-Loop testbed? Tony: I don't have people blowing up hardware and pay for all the equipment. And that I don't have to listen to it. Power converters can get very loud. And I like that I can just walk back and know that everyone's doing real work without destroying their ear drums. Preston: Yeah, similarly I think it's a great advantage to our company that we can test, and we have high confidence that what we're testing is very similar to what we're going to see when we do it on real hardware. And if it's not, then we can tweak in Typhoon. We will be able to recreate what we see and be able to get a good model running. We can optimize our controller too. So, it will work in our tests. "It's very plug and play. And we were able to test our system very quickly and add into the test plan." Typhoon HIL: And this is the last question I ask everybody. What's the one word you would use to describe your experience with HIL? Preston: I kind of want to say fun. That might be childish, but it is kind of fun just to have an ease of mind of being able to test like that. Tony: I think mine is relief.